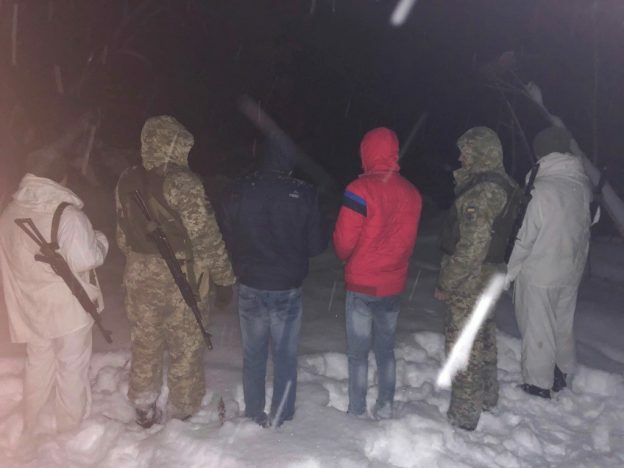 Last night, a resident of the village Tykha reported the border guards of the BU “Smilnytsya” about the unknown persons to move in the direction of state border. Wasting no time, the border guards went to the place of possible offenders’ presence. During search operations the troops of the Mostyska Detachment detained two foreigners. The citizens of India, men born in 1988 and 1995, intended to cross illegally the state border beyond the checkpoints. And the border guards of the BU “Luzhanka”, Mukachevo Detachment during implementation of operational information, detained two more illegal immigrants from Turkey at the border, who made their way to the neighboring country. All illegal migrants were taken to the border units to clarify the circumstances of their offences and prepare administrative documents. The filtration events are continued. This entry was posted in Translated Media-News from Ukraine on January 7, 2019 by oksana.